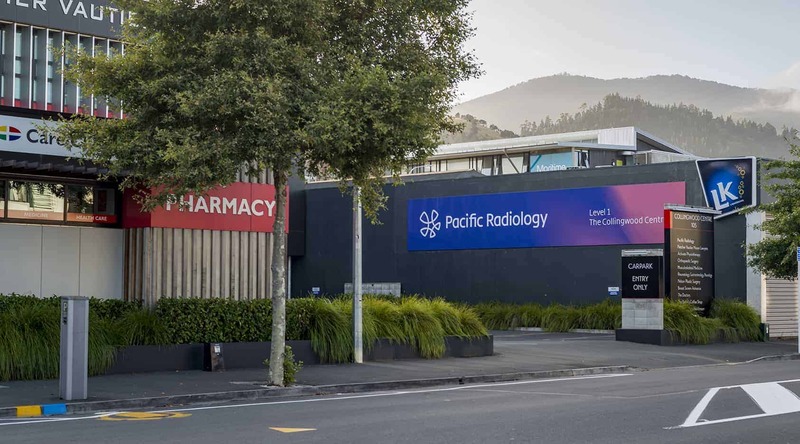 ­­Pacific Radiology is New Zealand’s largest non-government medical organisation, employing over 850 staff across almost 50 sites, and they are growing. 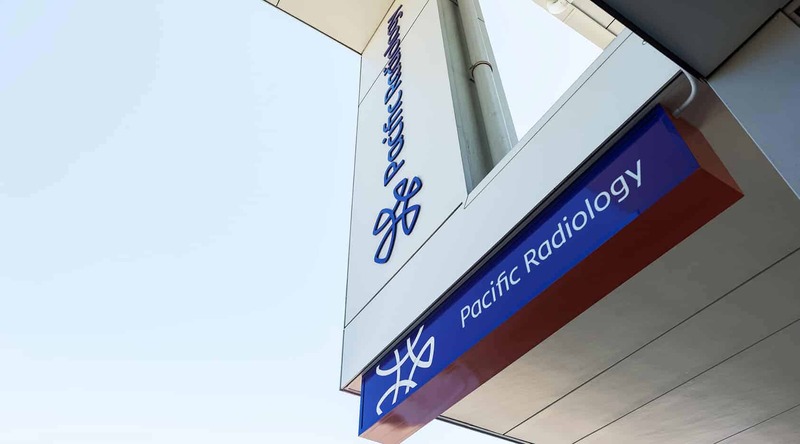 We have been very fortunate to have worked with Pacific Radiology on multiple projects over the years (since the birth of Sign Foundry). 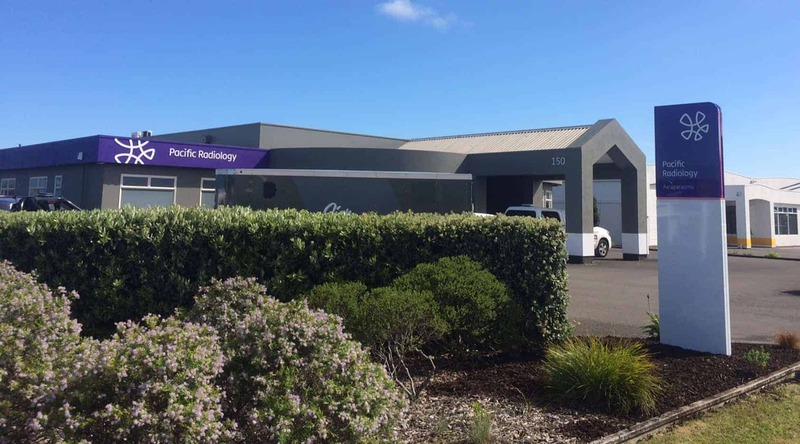 We understand their business and how they operate. 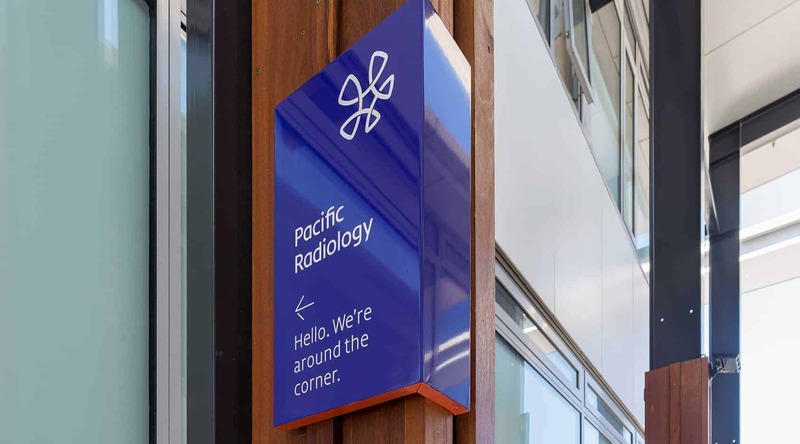 When it came to joining the six businesses together to form the Pacific Radiology group, Sign Foundry teamed up with Designworks (New Zealand’s leading design agency) to offer expert advice on the signage elements, including the practicality, user flow, and material use. 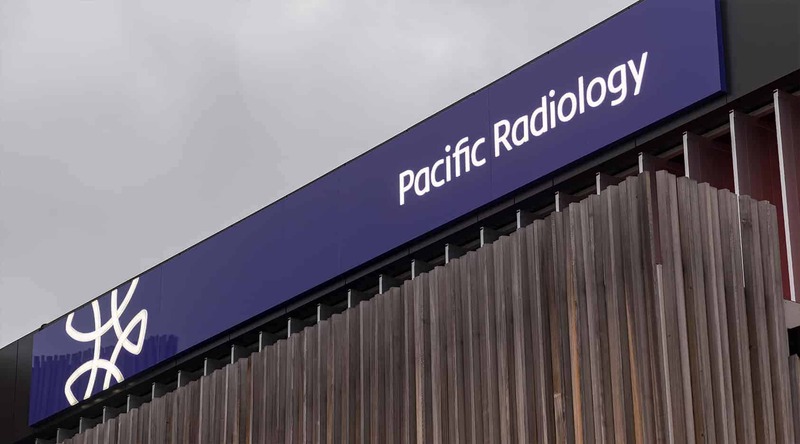 Later, we manufactured and installed the signage elements for all sites across New Zealand and Australia. 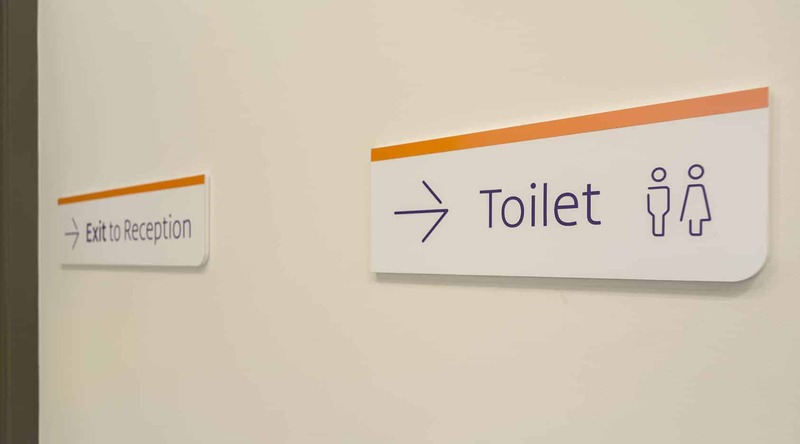 First, it was important to establish the current signage assets that the company had in place. 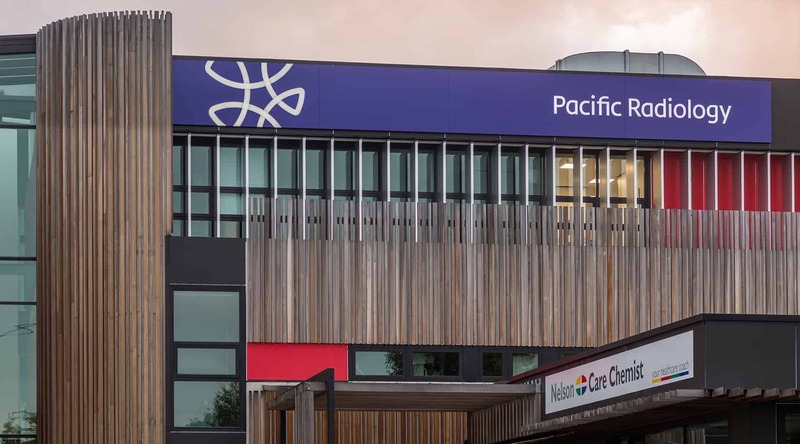 Audits of all branches across New Zealand and Australia were required, which involved photographs of exterior and interior elements, along with measurements and reviews of the condition of the sites. 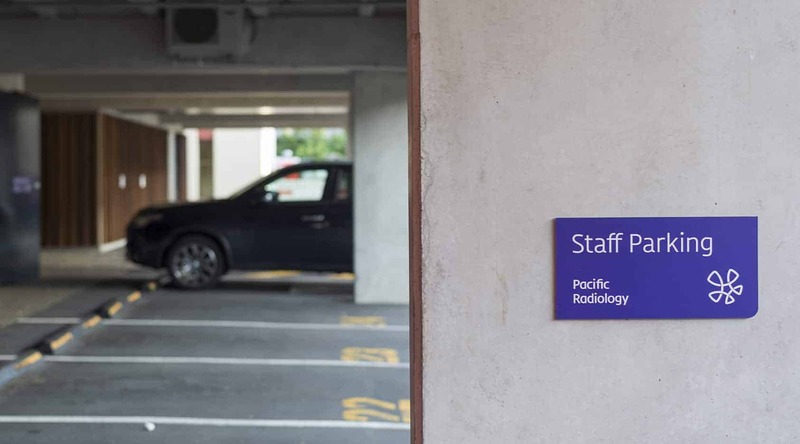 We were looking for opportunities, which the brand could take, to increase the customer experience and make sure consistency could be applied across all sites. 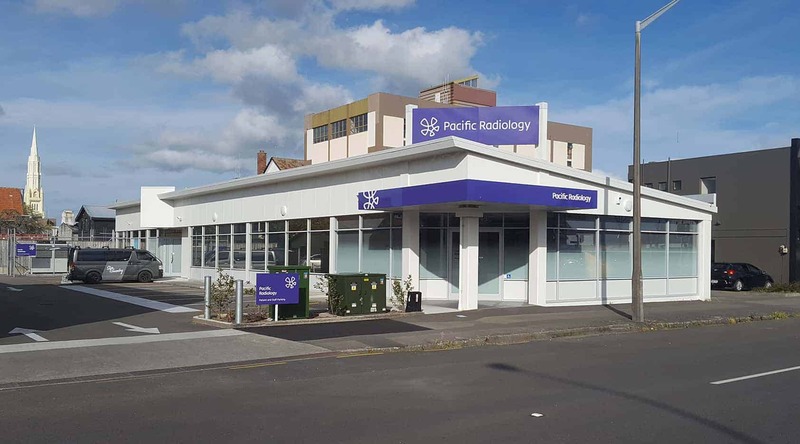 The audits highlighted just how diverse the branches were, and the challenge was to bring each site in line with the new branding. 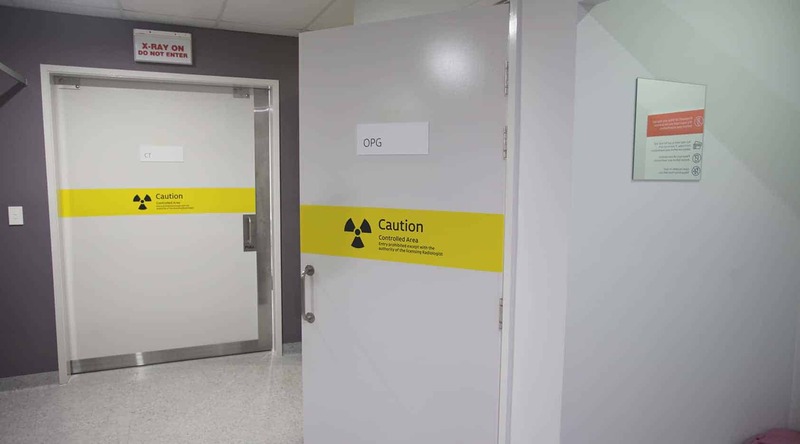 It was a great opportunity to start fresh and create the perfect space, where customers come first. 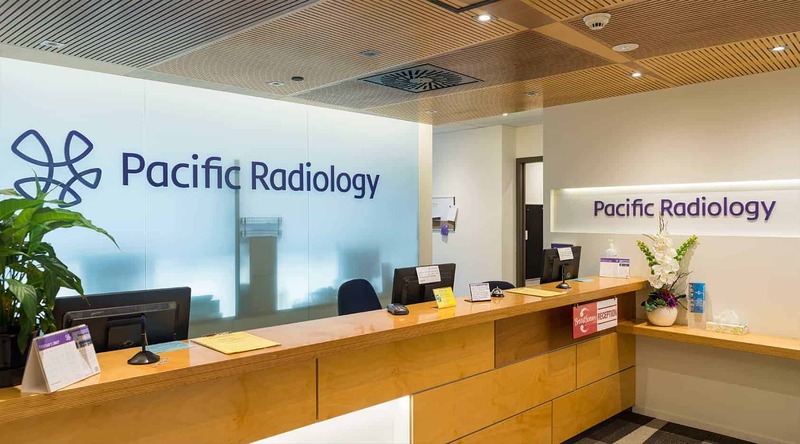 Digital renders of each branch were undertaken to show the transformation and confirm all the details before manufacturing. 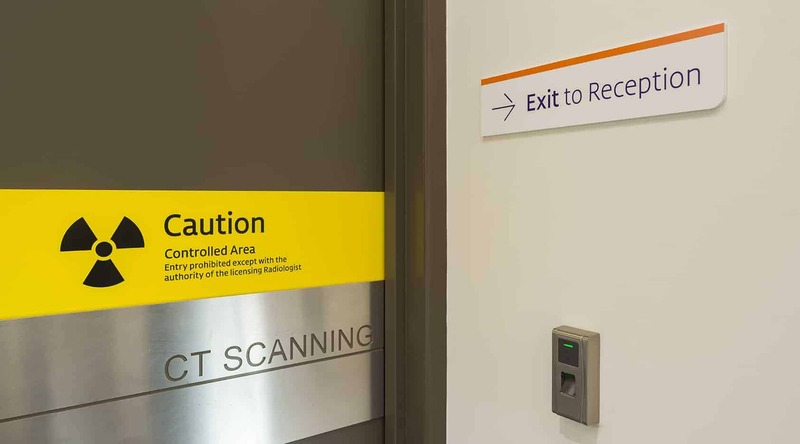 Finding their way around was a major focal point, and being able to inform patients during the process, was crucial. 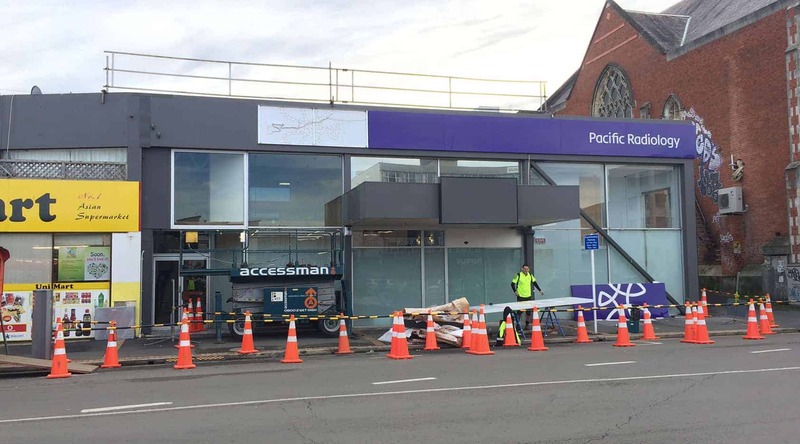 From the arrival, it is clear where the entrance is – thanks to a pylon sign, purple fascia, and hanging sign. 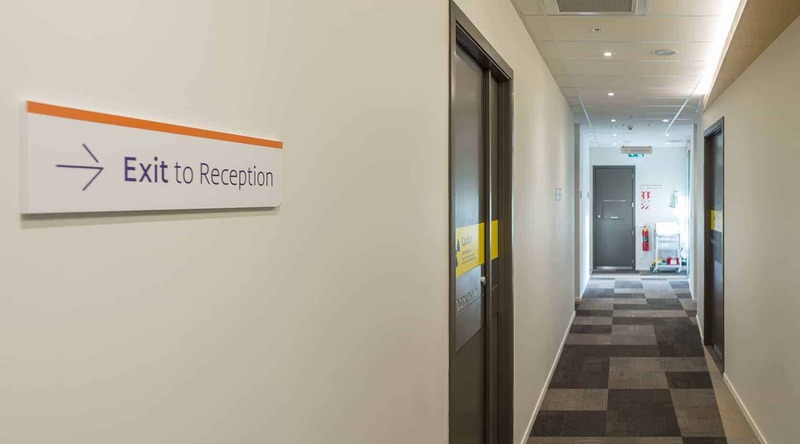 Once inside, reception is easy to find thanks to contrasting paint on the walls, and the various features. 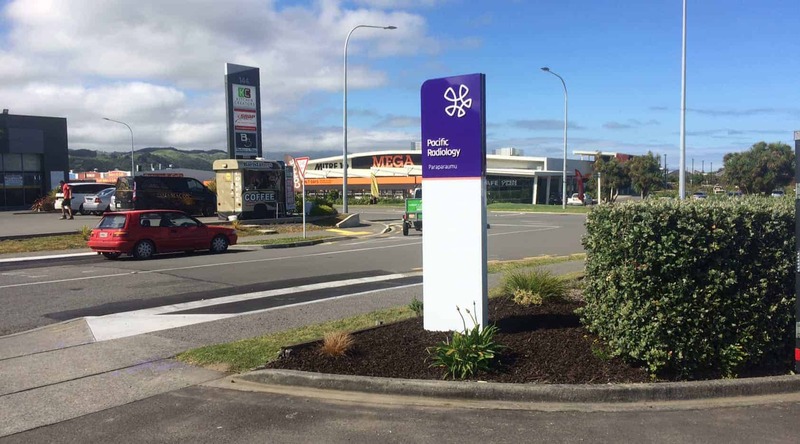 The Human Star was designed by Designworks and bought to life by Sign Foundry. 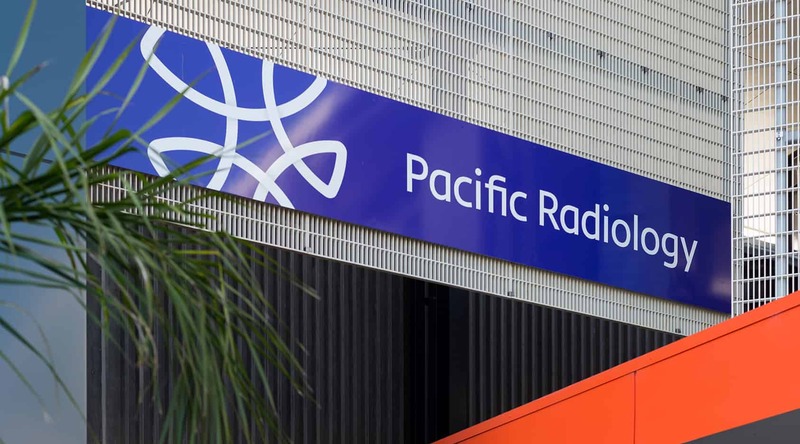 Interlinking circles represent the connected network from which Pacific operates, and the star denotes excellence. It took months of prototyping, including 3D printing before the CNC machine took over. Each star was then hand finished and painted. The outcome looked amazing, and really needs to be seen to be appreciated. 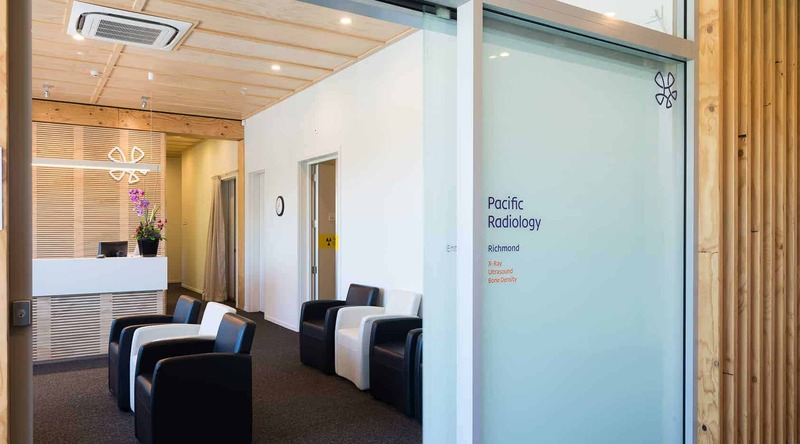 In the waiting room, you will find a 1.8 m tall message board containing consistent information across all branches. 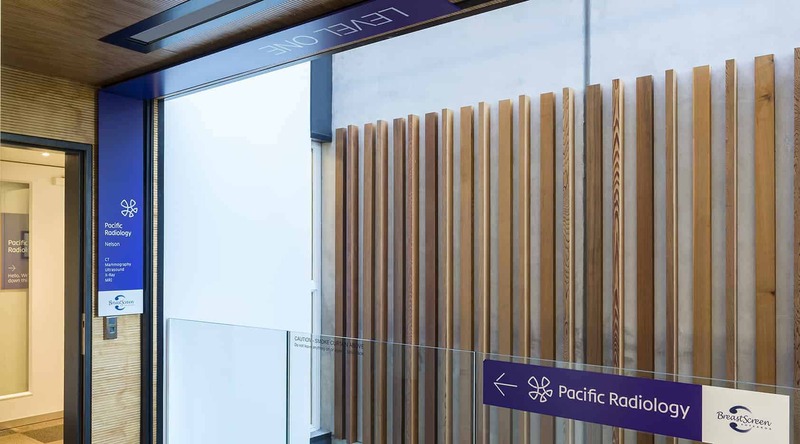 It features 18 mm of custom wood, and a painted face in matte purple with copper pearl sides and back. It is CNC cut to shape with display holes, which mount the hand sanded and stained shelf designed to hold flyers. They lean against the wall at a slight angle creating a floating effect (don’t worry, they are firmly fixed). 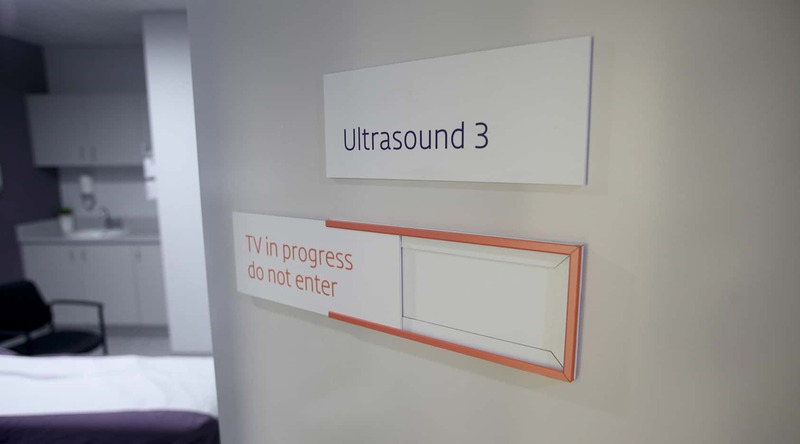 Rooms are clearly labelled, thanks to laser cut acrylic (polished edges) with a printed face and finished in a matte laminate (to reduce glare). 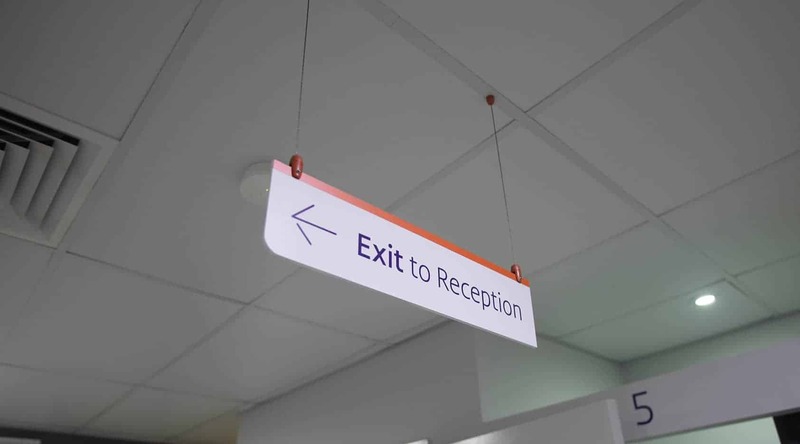 They have been mounted direct to the surface, or installed to the celling using custom painted mounting clamps. 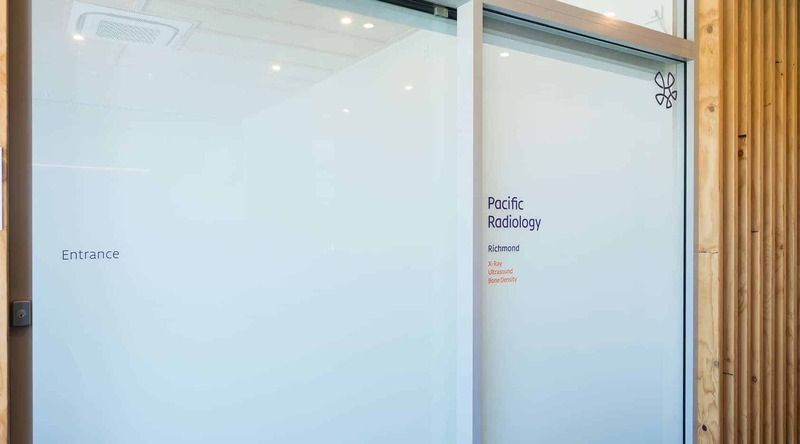 Internal and external windows are finished in a mixture of the 3M Fasara™ range, which provide a decorative finish and control of light and privacy, while enhancing aesthetics. 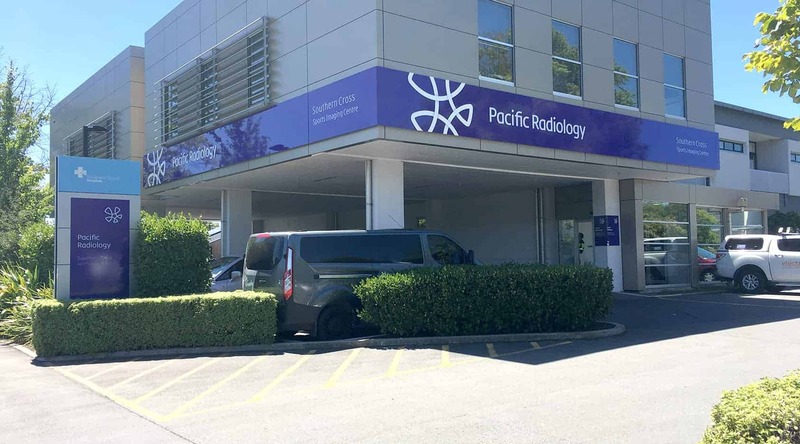 Finished in a matte white with a selected blend in the middle, it was the perfect alternative to your standard frosted film. 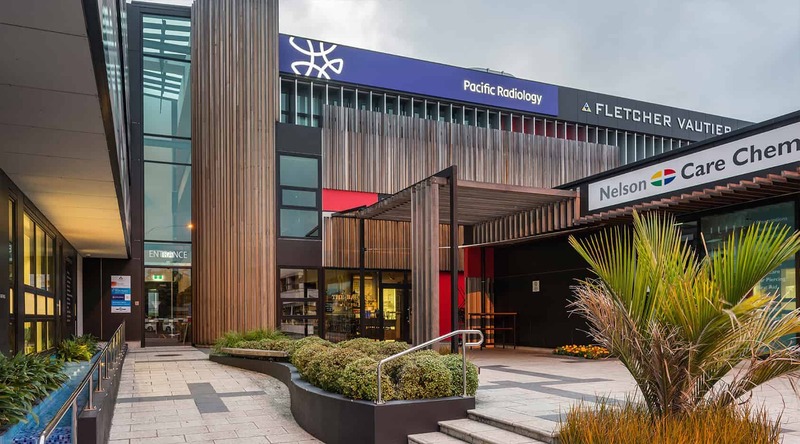 With such a major re-brand and multiple sites in different regions, timing was crucial as not only were branches getting new flash signage, but also new contact details (i.e. 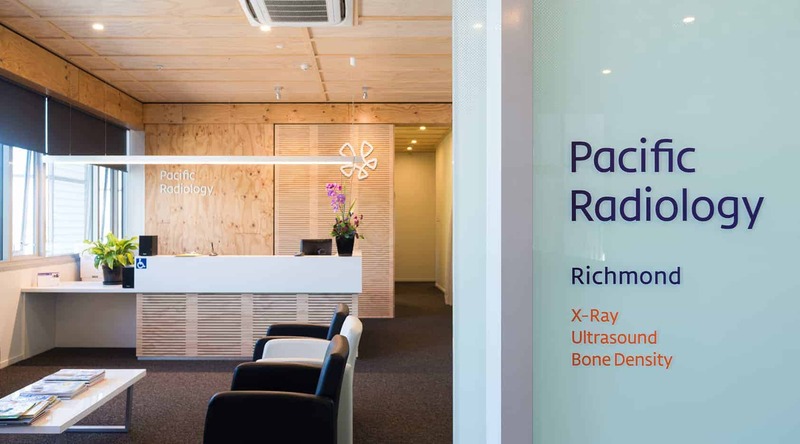 Christchurch Radiology is now Pacific Radiology). We kept to a tight deadline to ensure an easy transition, along with carrying out all work, while not disturbing the day-to-day operations. 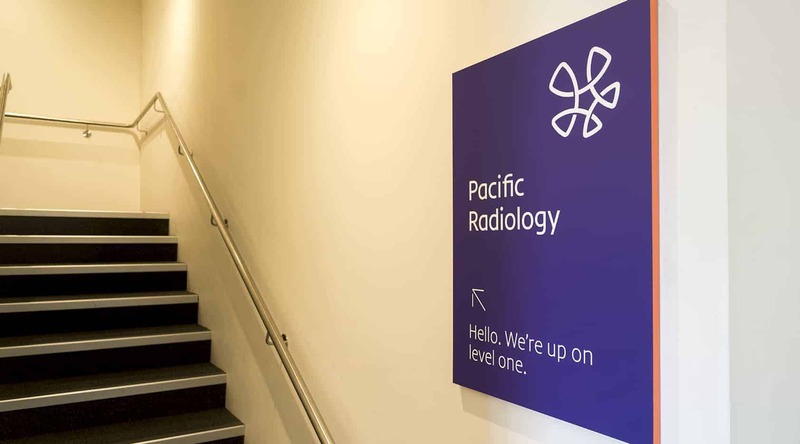 We are very proud of Pacific Radiology’s new brand and take pride in our part of transforming spaces, creating an experience, and our high quality work. When it comes to re-branding any business, it’s a great chance to take fresh approach and see things from the customers point of view. It is important to align yourself with experts from the start and create a list of objectives, timelines, and a budget. 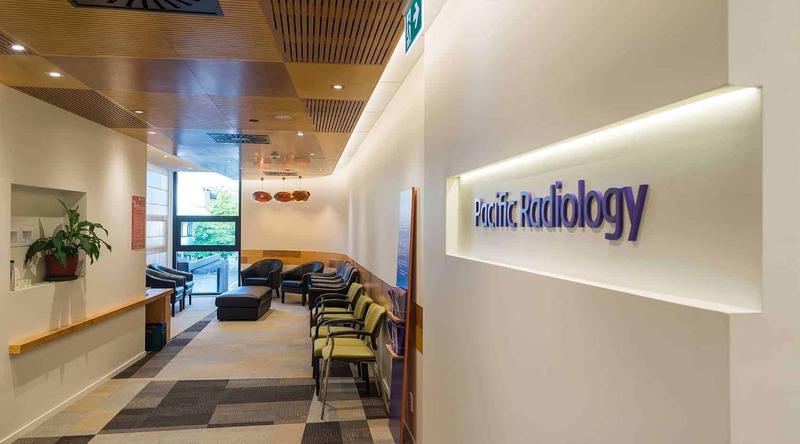 If we can help with your next project, feel free to get in touch with our friendly team.